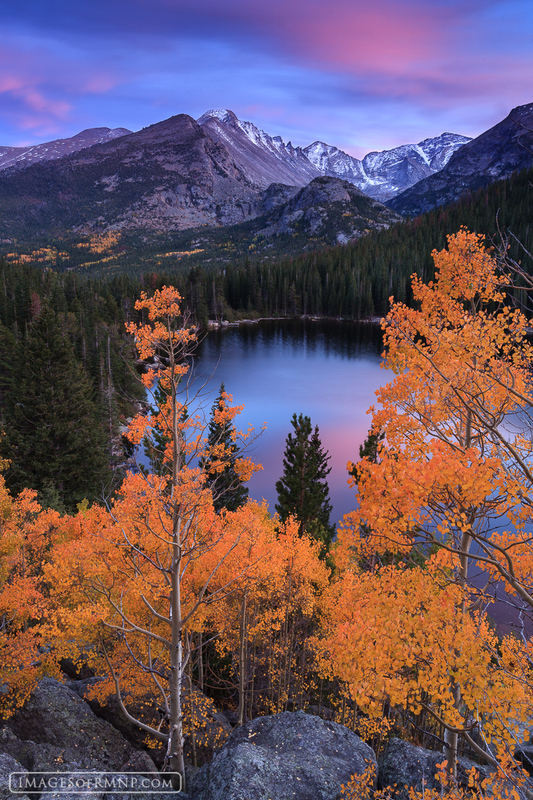 Bear Lake is one of the best places in Rocky Mountain National Park to enjoy autumn. Here you can find colorful aspen leaves with a beautiful view of Longs Peak. On this evening I sat and waited for a dramatic sunset but nothing happened. Well after sunset I gave up and headed back down. When I was about half way down, the clouds above began to glow with amazing shades of purple. I raced to find a composition and capture it before it was gone. It was brief but magical! Photo © copyright by Erik Stensland.